Included below are homes for sale near James River High School. If you would like more information on any of these James River High School real estate listings, just click the "Request More Information" button when viewing the details of that property. We can provide you with disclosures, past sales history, dates and prices of homes recently sold nearby, and more. And, if you haven't already, be sure to register for a free account so that you can receive email alerts whenever new James River High School listings come on the market. We represent the region's finest properties. We have years of full-time experience and a thorough understanding of the regional marketplace. Everything you need to get started is only one click away! Click here for help with pricing, a FREE sellers guide, or to connect with us for a no cost consultation. 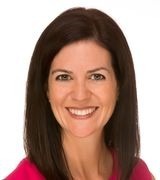 The Best Real Estate Agents are Local Experts. At Team Hensley we are a group of local real estate professionals, each with years of experience in their field. Whether it is first time home buyers, online marketing, transaction management, or the latest in pricing strategies for your home, we have you covered. We are experts in the local real estate market and we use that knowledge to help our clients acheive their dreams every day. 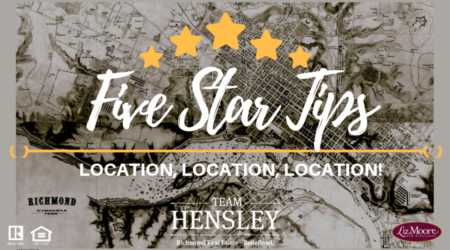 5 Star Tip - Location, Location, Location! © Copyright 2019 Annemarie Hensley. All Rights Reserved.